"Pashley infuses this story of betrayal, heartbreak, and reconciliation with unrelenting themes of grace, forgiveness, and Christian duty. The pain of the betrayed wife is well-written, and Sugar's restless search for peace will evoke sympathy. Even Clay and his mistress are portrayed with psychological depth. Readers will identify with the characters' spiritual journeys . . . [and] they'll appreciate Pashley's overall message of hope and renewal." Author of "Precious in His Sight"
A: I’ve often struggled with grasping how much God loves me. To think that He cares enough to walk through every dark nook and cranny of my life, and to know He has a good plan even when bad things are happening—that’s a mind-blowing concept that is hard to wrap my mind around sometimes. I wanted to write something that would affect people in a deep way. Something that would spark a desire to trust this loving God we serve in a radical, freeing way. This story challenged my personal faith. I hope it does so for others. Q: Introduce us to your main character, Sugar Brennan. A: In today’s image-conscious, social media-focused society, it’s tough to filter out all the external influences that can drive our motivations and our actions. 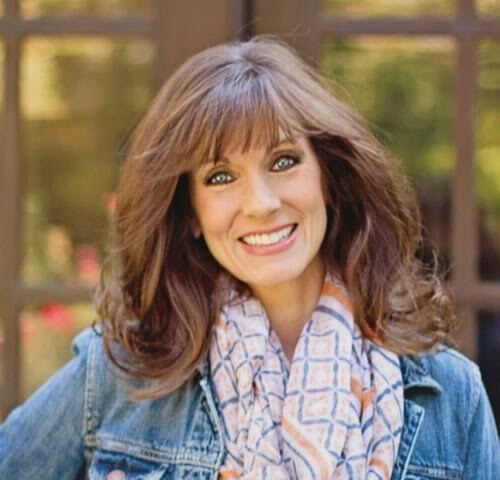 Sugar Brennan has been bombarded with messages her whole life about what it means to be an upstanding southern Christian woman. She’s invested a tremendous amount of energy into fulfilling that image. I wanted to explore how she might react when faced with a devastating moral crisis. Many, many times while writing the early drafts, I would lie awake at night wondering how I would handle her situation, and how God could turn something that awful into something beautiful. Sugar inspired me to dig deeper into my relationship with God. I hope she inspires my readers to do that as well. Q: There are several twists and turns in the story. Did you have those in mind in the beginning, or did they develop as you wrote? A: The entire story came to my mind and played out like a movie while I was driving through the hills of Massachusetts with my family one summer. It started as a “what if” kind of daydream, just to pass the time. An hour later, when we pulled into a little country store to fill up on fuel and snacks, I bought a dusty spiral notebook, returned to the passenger seat, and scribbled descriptions for all of the characters and settings. By the time we reached our destination, I had written the entire outline for Precious in His Sight. After that trip, I stuck the notebook in a desk drawer and didn’t pull it out for a year. When I did, the plot and characters begged to be written, and since I had always wanted to write a novel, and I had some time on my hands, a project was born. ​Q: The main character makes some life choices that may shock readers. Why did you have her make those decisions? A: As a married woman myself, I wrestled with Sugar’s choices. The wrestling led me to the conclusion that regardless of the difficult circumstances I might find myself in, there is always hope. And there is grace, even when we fight against the pain. It’s often our futile attempts to avoid pain that wind up causing us even greater calamity. Without pain, we don’t get to the bottom of ourselves. And unless we get to the bottom of ourselves, we can’t experience the power and peace that come from complete surrender. I wanted Sugar to run, and wrestle, and squirm, and ache to find that “peace that passes all understanding.” I wanted her to experience the freedom of letting go. Q: The story presents the ethics of risking the life of a pregnant woman for her unborn child. How did you decide how to portray that dilemma? A: I didn’t set out to write a pro-life story. In fact, while developing the characters, I struggled with their predicament for some time. I researched their scenario and learned that cancer during pregnancy strikes more often than we realize, and that some doctors still advise women to abort their babies, even with today’s medical advances. In certain cases, continuing the pregnancy poses life-threatening risks to the mother. I had to ask myself, as a person of faith, what would I do? The answer seemed simple enough. But while writing Christine’s character, and thinking about her back story, the question became, what would a woman with no religious allegiance or personal faith do in this situation? At the time, I didn’t honestly know how Christine would handle her plight. As I got into her head more, I felt like the choices she made were a natural progression of her journey. Q: What do you hope readers will learn from the main character's plight? A: I hope readers are inspired by Sugar’s tenacity, her deep love of family, and her determination. But more than that, I hope readers connect with her frailties, and her yearning to be real and open and authentic. I hope that Sugar’s journey encourages readers to seek God and cling to Him in the dark times of life, and to trust Him when circumstances don’t work out the way they hope. I hope readers learn that they have the choice and the power to be become women of joy, and strength, and serenity, no matter what life throws at them. Q: Sugar Brennan is a strong female character. You seem like a strong woman too. Is Sugar modeled after you? A: Ha! Sugar is a feisty go-getter, that’s for sure, and I think we have a lot in common. But as I wrote Precious in His Sight, I found myself identifying with all of the characters. I think there’s a little bit of me in each one of them. And their struggles motivated me to search my own heart. Like Sugar, I’ve made decisions based on what others might think of me. At times, I’ve tried to outthink God, running from His will in a panic before relinquishing control and finding solitude in His open arms. Like Christine, I’ve been confused about God’s love for me, and at times have wondered if I measured up—wondered why He would care about me when I was so undeserving. Like Daniel, I’ve been skeptical—wary of the church and the hypocrisy that sometimes exists within her walls. But I’ve come to love the church, not the buildings, or the denominations, but the people who exemplify the body of Christ in a variety of flavors and forms, and who are just doing their best to navigate the path to eternity. And like Miranda, I’ve put certain people on a pedestal only to be terribly let down when they don’t meet my lofty expectations. Because of that, I’ve learned to see people’s mistakes as opportunities for them to grow, and I can now look with anticipation toward what God can do, rather than with disdain at what they did. The wonderful thing I’ve discovered along the way is that God’s love for me underscores all of my shortcomings, all of my fears, and my failures. His grace is gift enough, yet I often fight against that gift, straining and striving to satisfy my insatiable need to put my own stamp of approval on myself. Understanding His grace, arising in hope, and resting in His steadfast love are the keys to a life that celebrates this undeniable fact—that I am precious in God’s sight—we all are. Q: What are you involved in besides writing? A: My husband and I have four daughters, one granddaughter, and another grandchild on the way, so we invest quite a bit of time creating opportunities for our busy family to be together. We take the whole brood skiing in the winter and to the lake in the summer, and we enjoy holidays and special events throughout the year. I’ve always been a big cook, and I love entertaining and getting people together, so a few years ago I combined my two loves into a monthly event called “Girls Dine In.” Each month I create a themed menu, write the recipes, put together table décor and music to go with the theme, and host an all-out cooking frenzy in my kitchen. The women love learning new techniques and inventive ways of serving and presenting a dinner party. And they have a chance to do something just for fun that doesn’t involve the kids or the job or anything. I also like taking walks in the woods, binge-watching Netflix, and painting furniture. a A self-described “southern transplant,” Karen Pashley made her way to her adopted southern home by way of New York and Florida, but it was on a trip back to the Northeast where Karen got her inspiration for the new novel, “Precious in His Sight,” which Karen describes lovingly as “country club southern fiction.” The book depicts a southern woman with traumatic issues to deal with, something that is familiar to Karen. Like the main character in her new novel, Karen has experienced her own personal moments when she wasn’t sure what God was thinking. Karen has battled Meniere’s Disease for several years, an illness that left her deteriorated to the point where she could barely function because of the extreme dizziness and equilibrium problems. She lost most of the hearing in one ear, and lived in a constant state of nausea and fatigue. She experienced frequent violent bouts of vertigo that would slam her to the floor and reduce her to a sweat-drenched, vomiting wreck curled up for hours unable to move. In spite of the unpredictability of the disease, Karen found hope in the midst of despair. Last year, Karen’s world became even more shaken when she learned that her vibrant, intelligent, beautiful daughter had lived a secret life of addiction for years. By the time the family found out, she was losing her battle with opiates, and her life was in jeopardy. The shock, anger and fear nearly did Karen in, and once again, she questioned God. In addition to speaking and writing, Karen is an accomplished foodie who founded “Girls Dine In,” a monthly gathering that is part supper club, part cooking class where she brings women together for great food and fellowship. "When I first proposed the Girls Dine In idea in front of a group of women at church, I thought no one would be interested. After all, we’re all so wrapped up in our families, our jobs, our commitments. So when I saw hands go up all over that room—I knew that what I was sensing for myself was true for others. That women are hungry for fellowship—for laughter—for fun! Girls Dine In offers women a chance to leave the cares of their day behind. We’re in our third year now, and the events are packed every month. I love to see women walk in with a friend or a neighbor, expecting something wonderful. It’s good food for the body, and for the soul." Whether cooking or writing or speaking, Karen has her finger on the pulse of what women need, and she believes “Precious in His Sight” will resonate with women in a real way. Even before it was published, the novel was already garnering attention. The novel was awarded first place in the unpublished novels competition at the 2014 Blue Ridge Christian Writer’s Conference. The premise of the novel is certain to raise a few eyebrows as it deals with some difficult moral issues that an unsuspecting wife must face. And the choices she ultimately makes will challenge a lot of Christians to think about their own personal beliefs. But ultimately, whether in her writing, cooking clubs, or speaking engagements, Karen has one goal in mind for the women in her audience: hope. For Immediate Release (Nashville, TN) -- In her first novel that she lovingly describes as “country club southern fiction,” author and speaker Karen Pashley held nothing back in the way of controversy. Her book entitled “Precious in His Sight” (releasing April 26/Willow Branch Publishing) was hailed by mainstream publishers who wanted Pashley to “tone down” the Christian parts, and was equally met with enthusiasm by Christian publishers who were simply scared of the potential controversy of the story’s characters. When Pashley decided to stir adultery into the mix, show sympathy for the mistress and the cheating husband, and wind up with one of the most pro-life fiction novels ever written, she raised a few eyebrows. But making people nervous, like William Young did with “The Shack,” may just result in the next big success story, although that was never Pashley’s goal. The novel’s heroine – Sugar Brennan – is especially close to Pashley’s heart. As Pashley describes it, Sugar has been bombarded with messages her whole life about what it means to be an upstanding southern Christian woman. Brought up in the church, married to a successful businessman, Sugar invested a tremendous amount of energy into fulfilling that image. Pashley wanted to explore how her strong-willed, yet adorably-flawed protagonist might react when faced with a devastating moral crisis. While writing the early drafts, Pashley says she would lie awake at night wondering how she would handle Sugar’s situation, and how God could turn something that awful into something beautiful. And like Sugar, Pashley has had her own personal moments when she wasn’t sure what God was thinking. Pashley has battled Meniere’s Disease for many years, an illness that left her deteriorated to the point where she could barely function because of the extreme dizziness. She lost most of the hearing in one ear, and suffered with constant nausea and fatigue. Sudden violent bouts of vertigo would slam her to the floor and reduce her to a sweat-drenched, vomiting wreck curled up for hours unable to move. In spite of the unpredictability of the disease, she found hope in the midst of despair. In addition to speaking and writing, Pashley is an accomplished foodie who founded “Girls Dine In,” a monthly gathering that is part supper club, part cooking class where she brings women together for great food and fellowship in the Nashville area. Whether cooking or writing or speaking, Pashley has her finger on the pulse of what women need, and she believes “Precious in His Sight” will resonate with women in a real way. Even before it was published, the novel was already garnering attention. The book was awarded first place in the unpublished novels competition at the 2014 Blue Ridge Christian Writer’s Conference. The novel deals with some difficult moral issues that an unsuspecting wife must face. And the life-altering choices the book’s main character ultimately makes are already challenging a lot of Christians to think about their own personal beliefs. For more information, visit www.KarenPashley.com.